Whether it is vacations, study, or an adventure trip, Germany has been a cultural, historical, and educational hub for Europe. Many people apply for an education visa every day but get rejected due to poor German. Many tourists visit Germany but are not able to have a real experience of a German life simply because they lack German speaking and understanding skills. Ultra Easy German provides free lectures and lessons to learn German online. 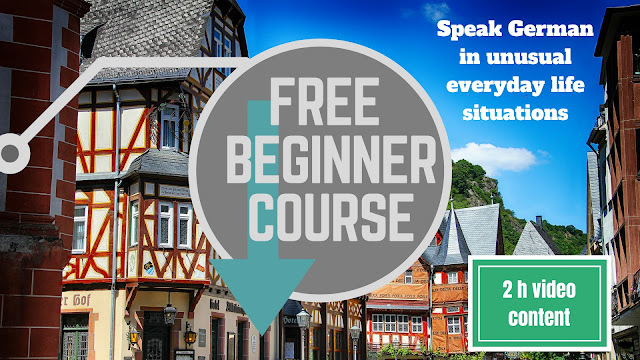 This is unlike any other online German course because it begins by teaching spoken German in several real-life situations. These situations include a football game, a taxi ride, a shopping spree, a visit to the hospital, or even the necessary language at a party. Ultra Easy German is a great way for beginners, people who have no training in German, to learn how to communicate in German and understand it online. The courses are divided into a series of lectures. The first lecture begins with the pronunciation of special letters and the second moves to emergency situations in the hospital. The lectures then move slowly up the rank, teaching the student to introducing themselves, the language at a bank, type of phrases, framing questions, verbs and verb conjugation in German, taxi language, football stadium language, numbers, possessive and subjective language, and most importantly the language of a party. There are several other important lectures in the middle which complete the training of a novice level German course. To learn through Ultra Easy German, you simply visit the website and watch each video lecture. It is vital that you repeat what the instructor says and check your pronunciation by listening to yourself. Pause and give yourself time to absorb a word or pronunciation and focus on the phrasing. Since the course is free, you must also motivate yourself to come back every day. We hope you find the experience helpful and hope to see you interacting with the German culture through our videos! Happy learning! + A lot of Fun! Hopefully you enjoy this free course. If yes, please share it with others on social media or by word of mouth. Thank you!